The top pic is of course the official trailer. Looking like a slick fastback design. The lower one is taken from a 2011 promo film called Chevy 100. 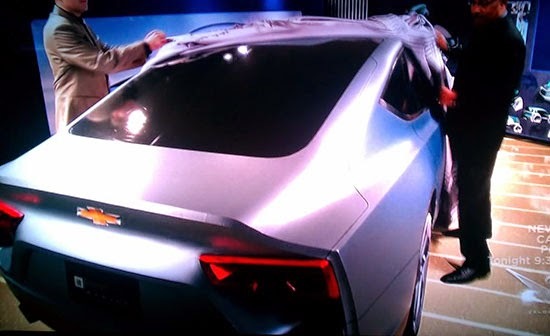 Showing a car that was planned for 2014/15. Could it be the Malibu? An early version. It also looks like a hatchback. Which could be really interesting. And quite different from the competition. Lower pic looks like an updated Audi A7.